2. Mail it to the parish at the address shown above to the attention of: Religious Education Registration. ~ Add the subject line: "Religious Education Registration"
~ In the body enter: "I wish to register my child/children in the St. Andrew Parish Religious Education Program." ~ Enter parents' name(s), address, email address, and phone numbers. NOTE: Need based scholarships are available. 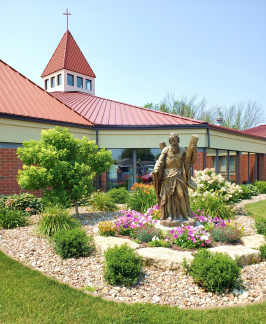 Please contact Religious Education Coordinator, Phyllis Avesing for details and application (563) 381-1363.